Successful companies generate positive cash flow through efficient operations and effective marketing. Generating revenue is not like raising funds for a charity–people will not offer you money simply because they agree with what you do. Businesses succeed when they are able to convince buyers that their products/services are superior to and of greater value than the offerings of other providers. Controlling costs is critical; make provisions for unavoidable cost variances and eliminate waste in areas where costs–or at least overruns–can be avoided. Planning for adequate capital structure is also essential; debt-laden companies cannot achieve the same level of success as companies with enough equity. Being able to bring in sufficient revenues and preventing large amounts from being paid out will lead to positive cash flow. Effective companies generate positive cash flow consistently. The business is streamlined continually to narrowly defined core acutely focused on making sales, controlling costs, and structuring capital. Creating and maintaining positive cash flows is a continual goal of any business, and an ongoing reality in profitable ones. The exercise of staying profitable and successful requires more discipline than many executive teams are willing to enforce in their operations. For example, moving inventory in a timely manner is puzzle to many businesses that make products. ; however, those who develop a formula for success in this area are well on their way to positive cash flows. Controlling costs, though, is not synonymous with eliminating costs. Eliminating costs in an arbitrary fashion can kill momentum and limit financial flexibility. Capital is a useful tool if its effects are controlled, and businesses able to avoid large debt loads are more consistently profitable. While positive cash flow may seem like a lofty ideal to some teams, the investment and financial communities consider cash flow a distinguishing barometer of business stability. Companies with favorable cash flows can secure more favorable financing terms and receive more concessions from vendors and subcontract organizations. For example, businesses with positive cash flows can negotiate higher discounts when they are able to pay invoices early. Additionally, they can prepay materials and buy in volume for even steeper discounts. An enterprise that consistently demonstrates that it can cover more than its cost of doing business (as evidenced by positive net income) will rack up profits and retained earnings year after year and attract more customers, since buyers often feel that profitable companies are more likely to survive and meet their needs for the long run. 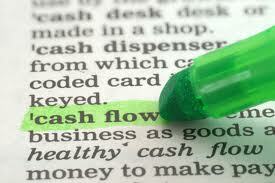 Therefore, positive cash flow should be the goal of every employee in the business. One of the most important things to remember when incurring financial obligations that affect your cash flow is to stay within acceptable industry ratios. Most industries have trade organizations that publish benchmarking data to help representative companies do a better job of analyzing how they compare with norms. The analysis should not become an end unto itself, however. Use the data to have productive conversations with your CPA, banker, and investors. Unless you want a very short day in the sun, avoid reliance on debt. To remain financially competitive, choose capital financing sources wisely and do not burden your operations and marketing teams with a weight too heavy to bear. ← How Do Successful Businesses Manage Their Operations?